Thanks to Microsoft Word’s synonyms tool I created a list of just a few descriptors that I would use to describe one of the greatest men in America today. A man that has changed the way that we, as a culture, have viewed cinema, the theatrical stage and television. A man that attacks life with a no holds barred enthusiasm that has captivated both the minds and spirits of generations of humans. Of course I am referring to Sir Alec Baldwin (Lawyer Note: Alec Baldwin has yet to be knighted and therefore in no way deserves the “Sir” title). To answer that question I have put together a list of things that contribute to Baldwin’s greatness as well as a list that detract from it. It’s Complicated – Freaking Meryl Steep? C’mon! 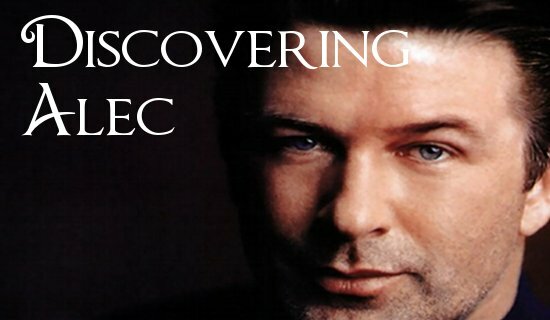 His pipes – Alec Baldwin has one of the greatest speaking voices of all time. He has done every type of voice over known to man. It was once described as sounding like the equivalent of an angel playing a steel guitar on the moon (so yeah, it’s pretty awesome). His Tweets – Despite having the perfect sounding speaking voice he has a spectacularly bad typing voice. I follow a lot of people but none more annoying and pretentious than Baldwin. The greatness of Twitter is that you get to see the true personalities of people that you find interesting. Baldwin’s account is everything that is bad about Twitter. 30 Rock – Definitely in the top 10 comedy sitcoms of all time (maybe top 5). Baldwin reestablished his career in 2006 when he took the role that Tina Fey wrote specifically for him. Baldwin plays Jack Donaghy, a rich republican network executive that wears a tuxedo every night because he “wasn’t raised in a barn”. Donaghy is pretty much the exact opposite of Baldwin which makes the character that much better. There is pretty much nothing bad about 30 Rock except for the fact that it made Baldwin famous again. As a result of that fame a recording of a voicemail that he left on his daughter’s phone was sold to TMZ. The voicemail didn’t show a very good side of Baldwin. The lowlight was when he called his daughter a “rude, thoughtless little pig” because she didn’t answer the phone for an arranged call. Baldwin failed to realize that when a teenager avoids your phone call it simply means that she hates you because you’re the teen’s father. It has nothing to do with being rude. Here’s The Thing – If you ever get a chance to download “Here’s The Thing” then you will have to get through the podcasts’ intro. The podcast is good but the intro is exceptionally bad. Also, one of the interviews is with Kris Kardashian Jenner. For the life of me, I can’t figure out why this person is relevant. I would save the space on your Iphone for all of the Hanson brothers’ albums if I were you. It occurs to me that Alec Baldwin isn’t a great man or a man that lacks greatness. Instead, he is just a man. He gets up every morning and puts his pants on one leg at a time. He probably drinks coffee and attempts to solve the Sudoku puzzle. The difference begins and ends when he goes to comb his hair for the day. Men that have Baldwinesque hair don’t wait in line, get cancer or pay taxes. His greatness should never be confused by the accomplishments of a mere man but rather the right combination of Herbal Essence conditioner and hair polish. Posted on April 3, 2012 by Derekphi and tagged Alec Baldwin Actors Greatness Movies TV.